CHOICE – "YOUR CHOICE - YOUR LIFE"
The Theatre school Kastali’a will teach young people something about making the right choices in life to avoid addiction in an international cooperation project. The CHOICE project is based on a non-formal learning style for students aged 13-18 who are to be involved in school plans and aim to use drama to prevent addiction to the Internet, drugs and gambling. The Theatre school Kastali’a has developed a teaching concept with an exercise manual that coaches young people in greater self-awareness and self-esteem, relationships, emotional consciousness and empathy through drama exercises. CHOICE is an international cooperation project supported by the EU’s Erasmus+ program, on preventing young people’s addiction to drugs, internet and online gambling with partners from Denmark, Spain, Ireland, Slovenia, Poland and Italy. These partners have worked together in the CHOICE project from October 2016 to December 2018. According to European experts, there are an increasing number of young Europeans who begin to develop dependence-based lifestyles. Dependence is rising in Europe. And the EU now defines “addiction” as one of the biggest social challenges facing Europe’s youth. Therefore, it is extremely important to understand what situations in young people’s lives can lead them to addiction and what influence addiction can have on their lives and how they can support their friends. 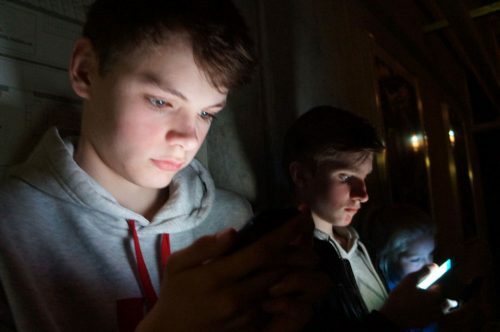 An increasing number of youngsters are unable to control their use of drugs, technology and gambling. Experts warn against the increasing number of addicts. 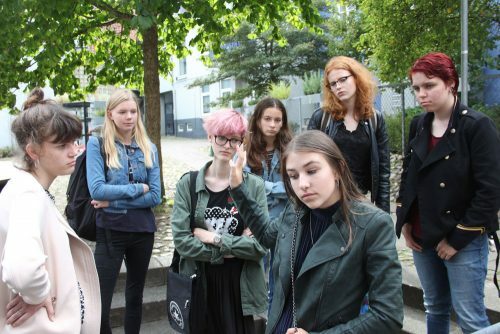 Every tenth young Europeans are dependent on legal or illegal drugs, and almost one fifth of Europe’s current healthcare costs are addiction-related; so it is necessary to understand which are the most important situations that can lead to addiction and educate young people about how they can make their own choices and avoid situations that expose them to abuse. They must also understand how addiction can affect their lives and how they can support their friends. For the target group, addiction of drugs is falling according to local social worker’s authority in Denmark. But the dependence on the Internet and social media is increasing, and it is a whole new phenomenon in our society, which we do not yet know the extent or the consequences of. Even now, however, we see some of the first symptoms such as more stress, anxiety and loneliness among young people and lack of social skills, making the CHOICE project extremely relevant. Through drama exercises, young participants have the opportunity to assume and play different roles from the reality of their youth. They will have a physical and emotional experience that hopefully will enable the young to make the right choices in their lives and avoid situations where they are subjected to abuse. When the three different addictions of internet, online gambling and drug abuse are linked to the CHOICE project, it is because brain research shows that these are some of the same processes that occur in our brain reward centre. As the dopamine effect increases, it makes us feel comfortable and happy and these comfortable emotions motivate us to choose the same action over and over, which can easily lead to addiction. The CHOICE project intends to identify and promote innovative approaches for graduate students and students in youth education, to promote and systematize reinforcing practices for students’ choice of Internet, drugs and gambling dependence. The project has an ethical base that involves experts in different disciplines, such as teachers, actors, doctors, psychologists, philosophers, educators, life coaches and social workers who want to interact and support students throughout the entire activity. The students participate in theatre workshops and through Life Theatre (more later on) they will have the opportunity to increase their self-esteem, which is the most important tool for making the right choice. The project presents an ethical choice by choosing positive behaviour when confronted with potentially risky situations and maintaining self-esteem, even though external pressure can add to the risk factors. (Selection of employment opportunities, education, sports and healthy living as examples of prevention of addiction). At the end of the course, students will have acquired more knowledge about the issues associated with the use of drugs, technology and gambling; In addition, they hopefully have also achieved great self-esteem and self-discovery. It is important to convey knowledge with an emotional background as well as support the individual. The course focuses on drama exercises as a tool for raising awareness among young people about the choices they make that can lead to drug addiction, internet and online gambling. The learning concept is about training young people in managing their own and others’ feelings, relationships, social skills and self-esteem. As an adult teacher you should not be a specialist in drama, but have the courage to use the exercises in collaboration with the youngsters. 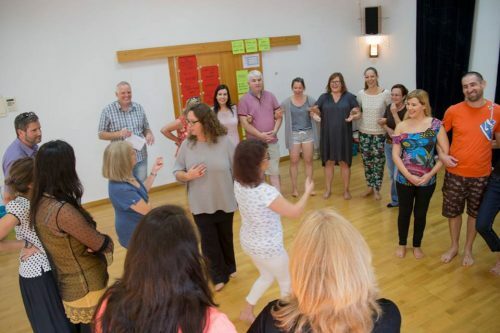 You learn to facilitate a bodily and emotional experience and understanding where the students, through drama exercises, have the opportunity to develop their consciousness and train social skills. The Theatre school Kastali’a has developed a drama educational model and a teaching material. This model is based on a method called Life Theatre based on a theatre method, which is different than normal drama education, which mostly focuses on theatrical methods, theory and practice of acting competencies. Life Theatre is based on drama based on participants’ life experiences, which makes the process very personal and confident with great potential for personal development and self-awareness. Life Theatre uses the knowledge and experiences that the young people bring in their own backpack. This provides presence and greater understanding of the young people in the different exercises. The teaching material with Life Theatre is an exercise manual that coaches young people in greater self-awareness and self-esteem, relationships, emotional consciousness and empathy through drama exercises. Initial meeting was held in Poland with subsequent questionnaire surveys in the different countries on the subject. Then there was an analysis of the target group in all six countries involved. Anja, Lisbeth and Jan from The Theatre school Kastali’a developed ”CHOICE Drama Education Model” and teaching materials as well as a teacher’s guide. In addition, Anja and Jan held a 24-hour course in Spain, introducing the material to 36 teachers from the different countries. From Randers and the surrounding area, teachers and teachers from Randers Youth School, Lilleskolen, Vestervangsskolen and UngNorddjurs participated. On January 31 and February 1, 2018, The Theatre school of Kastali’a hosts an international meeting with guests from the six different countries: Slovenia, Italy, Spain, Ireland, Poland and Denmark. The foreign partners visited Randers to plan the future phases of the project. January-June 2018: The teaching material is finalized and translated into the languages ​​of the different countries. Teachers who have attended a course in Spain must go home in the classes in the local areas and use the material. In these workshops there was a monitoring of the teachers. At the same time, this is also the teaching model as the ring in the water was spread to even more schools, teachers, parents and especially the young people. During spring 2018, CHOICE was implemented at local schools in the six countries for the oldest classes facilitated by the teachers who have been on a course. There was a local 24-hour course in the CHOICE material in all six countries, so the ”CHOICE Drama Education Model” spread to even more users. In Denmark, twelve teachers from Randers and Aarhus participated. Here we have developed the education material with video documentation, online tools etc. National conferences in all six countries involving experts and dissemination of project results, as well as an evaluation meeting for all partners in Italy. The entire project will be completed with national and international reports in December 2018. The eight international collaborators from six different countries in the CHOICE project are: Wyższa szkoła biznesu i nauk o zdrowiu (WSBINOZ) from Poland; Euroaccion from Spain; TUCEP – Tiber Umbria Comett Education Program, Instituto Comprensivo Perugia 8 and Liceo Scientifico from Italy; IVIZ Institute from Slovenia; EQUAL Ireland from Ireland and The Theatre school Kastali’a from Denmark. The project is supported by the ERASMUS+ program.